Korea Tour Package: Jeju Island Tour – Opt for the Busan City Tour! 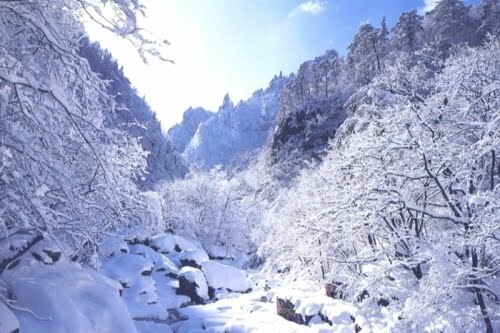 When you are in South Korea, there are many places that can really attract you to explore them. However, moving for the most famous location like Jeju Island in this country can really add a different taste for your overall tour. Jeju Island is often considered as one of the best and the most romantic places in this country. It is also the paradise for honeymoon couples. Due to this reason the name like Korean Hawaii is also assigned for this place. In Jeju Island there are many jaw dropping amazing locations situated. From its tropical climate to inactive volcanoes and from the marvelous beaches to the theme parks and off-the-wall museums; all these things are what making Jeju Island one of the best tourist spots in Korea. When you are thinking about a proper leisure time, you should move from the hustle and bustle of the Korean cities and reach for Jeju Island tour. Here, you can feel the real Korean style and can refresh yourself while having fun at the beaches. There are some prime tourist locations located in this part of Korea like Jungmun Resort, the Jeju City and the Seogwipo. Here, you can also find the regular buses that can take you on a memorable tour of Jeju Island. When you are moving for the country like Korea, you should plan your Busan city tour well in advance. This is one of the best tourist locations in this country and you should explore it for sure. As the second biggest city of Korea, Busan has many things to display before you. From Daegu City, it takes one hour or so to reach for Busan city. Sometime it is also called as the San Francisco of Korea. And there is a fact behind such saying. It’s the biggest port of Korea which is located here has assigned such name for the Busan city. This is also a big reason why it has become the home for raw-fish market, beaches and bridges. It is also surrounded by the clustered hilly neighborhoods that resembles to the city of San Francisco. If you have less time, then visiting the Busan city can become a real challenge for you. It’s a large city and comprises of several subway lanes. And here, you shouldn’t expect to get door-to-door service in order to get there to the famous tourist locations. In order to visit this city, you can even opt for the bus trip.